October 2, 2015 – The sun emitted a mid-level solar flare, peaking at 6:13 p.m. MDT on October 1, 2015. 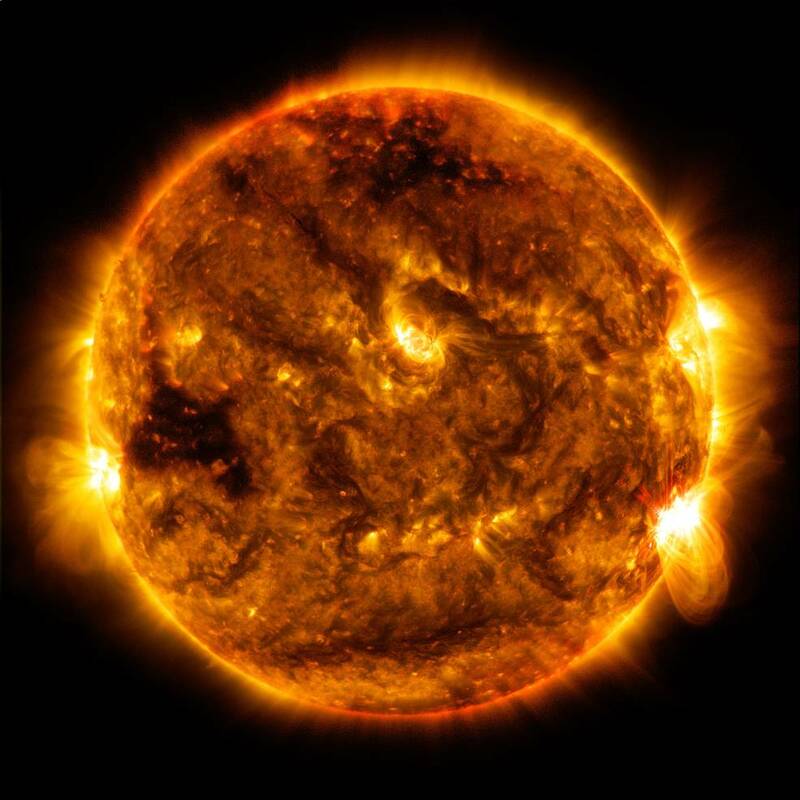 NASA’s Solar Dynamics Observatory, which watches the sun constantly, captured an image of the event. Solar flares are powerful bursts of radiation. Harmful radiation from a flare cannot pass through Earth’s atmosphere to physically affect humans on the ground, however — when intense enough — they can disturb the atmosphere in the layer where GPS and communications signals travel. G1-Minor Geomagnetic storm conditions are forecast for 02-04 October due to the combination of a coronal hole high speed stream and the possible arrival of multiple coronal mass ejections.